As I was building my first couple of iPhone app I was searching for a cloud hosting provider. I tried Amazon Web Services but their customer support only consisted of online forums. 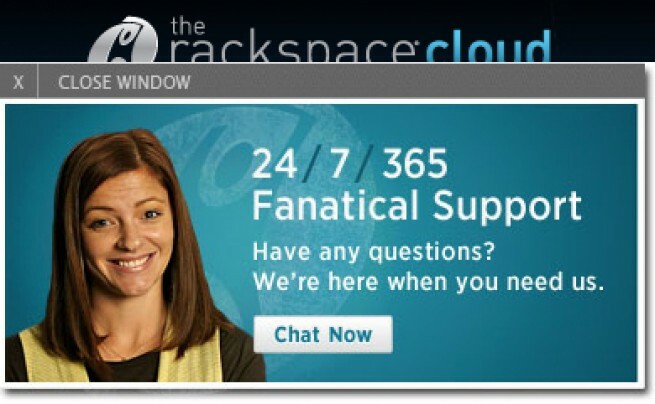 When I went to RackspaceCloud.com (around midnight) I was browsing around I noticed a small pop-up asking if I wanted to talk to a customer support rep. I had some question so I click on it. Boy, I was surprised that I was chatting with someone who was friendly and knowledgeable., rather than waiting on someone to reply to my specific question on a forum. The best part about Rackspace Cloud's support team is that they don't discriminate, whether you are a potential customer, top tier customer or just a low tier customer. Everytime I've called, emailed or chatted with their support team, I've received the answers I needed very quickly.